← Will President Romney and his second, young Ryan, listen carefully and attend diligently to these words of their predecessor and now bravely address the sacred cow of the Military-Industrial Complex as well as excessive federal spending in general? I say, have you ever met a man who was a gentleman where women are concerned? Inspired by both the sculpture of Étienne Maurice Falconet, Pygmalion et Galatée(1763) and the earlier mythology of the perfect woman, Galatea, Professor Higgins taught Miss Doolittle to speak properly and not to vex–as today so often do the screeching girls of estate fourth who torture young Danny with their ceaseless pronouncements of the elections in Ohio, 2012. Higgins also taught his Galatea to fold her legs properly, another etiquette today abandoned, Danny tell us, by the girls of estate fourth. Young Daniel is always an earnest inspiration. But I don’t quite know what we are going to do about him as he is sorely burdened by affairs of state—and it wears on him—it does. Our young Daniel, man of the Department, finds himself peevish these days contemplating the fate of the nation as delivered to him, hour on hour unceasing, on the television by the fetching little girls of estate fourth. These girls, I am told, are, generally, pretty enough, but have absolutely no shelf-life and are discarded as tissues when first wrinkle even hints itself. I wonder where they go after that, poor things. Moreover, Dan says their Nanas must have neglected their manners as these girls on the television wear their skirts about 8 inches above the knee and do not know how to cross their legs properly—I know, a gingerly exercise that, girls–to avoid camera angles–that take the viewer on a tour that causes mixed messages when the viewer is supposed to be concentrating on the chirpy girls’ searing pronouncements about election developments in Ohio, 2012, or some such awful place as that, and, instead rivets the eye on other points of interest far to the south. I’ve tried to settle him down. I was jolted by this last. My mind cleared at this. My eyes lit up at this. I leapt to my feet at this. Telling the waiter to tend to young Daniel’s every need, I rang for Joseph and sped home, there to read a rough draft of Mr. Shaw’s’ Pygmalion—a wonderful play, an even better movie starring the best movie man ever—himself—Mr. 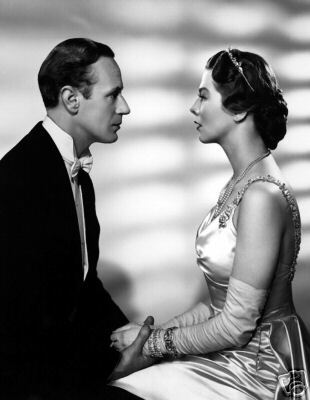 Leslie Howard—and introducing the fascinating young Miss Wendy Hiller, who knew quite well how to fold her legs properly. I say, Higgins, are you a gentleman where women are concerned? I have—men of a sort. Men of a sort—well don’t confuse me with that sort of men. A gentleman where women are concerned? I don’t care sixpence for women. I’ve taught hundreds—yes hundreds–of American millionheiresses to speak English properly. And you behaved a gentleman with all of them? I treated them all the same. They are as blocks of wood to me. Were any of them, hummm, pretty? All of them!! In America, they are not like here you know. I don’t know. Never been. Well, rich Americans don’t marry girls for the proper reasons as we do here you know. They marry them solely on their looks—solely. I say Higgins—are you or are you not a gentleman where women are concerned? I say, Pickering—Of course not!! Can you give me a reason why? Why you are not a gentleman as to women. I could give you hundreds of reasons. Well, they don’t deserve it!! I here cease to quote Mr. Shaw in raw draft. Goodnight, Daniel. Goodnight, Joseph. Good night screeching monkey girls of estate fourth ever on and on about Ohio elections, 2012. And, above all the others, goodnight, Galatea–perfect woman.